Kuala Lumpur/Jakarta: Indian Islamic property and stock funds are starting to give the world’s third largest Muslim population Shariah investment options in a nation where banking in line with the Koran’s tenets is prohibited. Taqwaa Advisory and Shariah Investment Solutions Pvt. Ltd, a Mumbai-based consultancy, is setting up the Rs.250 crore fund on behalf of a company backed by the Kerala government, director Shariq Nisar said in an interview on Wednesday. Secura Investment Management (India) Pvt. Ltd manages the country’s only other such real estate vehicle. India has two Shariah equity funds and BSE Ltd, the stock exchange operator, introduced a new Islamic share index on 2 May. India hasn’t made any progress on allowing Islamic banking since the central bank formed a committee to look at the issue in 2005, while no sukuk have been issued in the country due to a lack of legal recognition. The South Asian nation that has the highest sovereign bond yields among the 10 major Asian emerging markets is unlikely to introduce legislation in the near term as such a move may anger the 81% Hindu majority, according to Kuala Lumpur-based consultancy Amanah Capital Group Ltd. Leading players, industry thought leaders and key regulators in the international Islamic investments and asset management industry will come together in Bahrain today for the start of a two-day conference. The 9th Annual World Islamic Funds and Financial Markets Conference (WIFFMC 2013), is taking place in strategic partnership with the Central Bank of Bahrain (CBB), organisers said. More than 400 international industry leaders are expected to participate in critical discussions that will focus on “Broadening the Base of Investors and Issuers; and Boosting the International Growth of Islamic Capital Markets and Investments”. The conference will open with a keynote address by CBB executive director for financial institutions supervision Abdul Rahman Mohammed Al Baker. The recent acceleration in the Islamic funds and investments industry is set to grow further as governments and institutions in the Middle East, South East Asia and beyond increasingly seek Sharia-compliant instruments as a viable alternative for raising capital and also for diversifying their investment portfolio, he said. The UK based times news paper have issued 16 pages Islamic finance supplement focusing UK Islamic finance market. The supplement has been created by Raconteur Media 16 pages analysis of different topics including the market, education, regulation and global trends. This is a good resource for those are involved in Islamic finance industry practitioner or researcher. 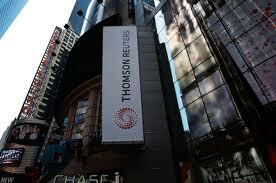 Thomson Reuters yesterday launched an Islamic Finance Development Indicator in collaboration with the Islamic Corporation for the Development of the Private Sector (ICD), the private sector development arm of the Islamic Development Bank (IDB), a press statement said yesterday. The indicator is a numerical measure representing the overall health and growth of the Islamic finance industry worldwide. The indicator expands the scope of Thomson Reuters’ universe of Islamic finance content, research and news analysis to develop a much needed unbiased and reliable multi-dimensional barometer of the development of the Islamic finance industry. The indicator measures five key components – quantitative development, governance, social responsibility, knowledge and awareness. source : the peninsula qa. The Islamic Development Bank (IDB), a Jeddah-based multilateral institution, has called for the creation of a global sharia advisory board that can offer greater uniformity for the Islamic finance industry, its president said on Thursday. A centralised format to the supervision of sharia-compliant banking products is gaining favour across the globe, as regulators seek to standardise industry practices and improve consumer perceptions. “IDB and IFSB (Islamic Financial Services Board) should study ways for creating globally acceptable references for the industry for the benefit of all,” IDB president Ahmad Mohamed Ali said at a conference in Kuala Lumpur. When Fabiola Nava Carrera told her friends that she was going to pursue a master of business administration degree in Islamic finance at a Malaysian university, they were taken aback. A new financial institution, Mouamalat Assahiha Bank, has been established in Mauritania to operate exclusively according to the Islamic finance code. “The new bank, with a US$20 billion capital, was set by young and successful Mauritanian business people,’ according to a statement from the bank. The bank will target both individuals and corporate organisations, and base its operations on the highest ethics and standards of the country’s financial industry. Islamic banking abhors loans with interest and financial speculation, and recommends risk sharing. 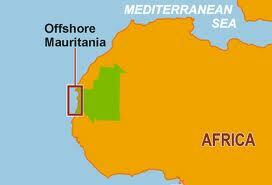 Mauritania currently has 18 banks, five of which operate according to the Islamic finance code.